This revelation will be about as shocking as when Geraldo Rivera opened up Al Capone’s vault: I’m a KITCHEN GADGET QUEEN. Henry would go so far as to say I’m a hoarder of unnecessary clutter, but I like my self-anointed title much better. Regular readers are well aware that I frequently use a pressure cooker, toaster oven, and SousVide Supreme, often all at once to prepare a single meal. But when we were stuck in a residence hotel for three months after a mini tsunami flooded our house, I learned that I can get by in the kitchen with much, much less. 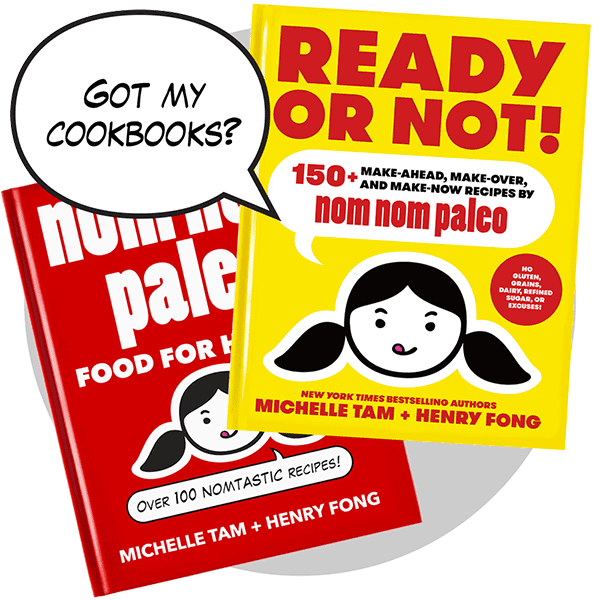 I won’t lie – there are plenty of “nice-to-have” items that greatly streamline and enhance my cooking, but when push comes to shove, I really only need a few items to create nourishing and tasty meals. 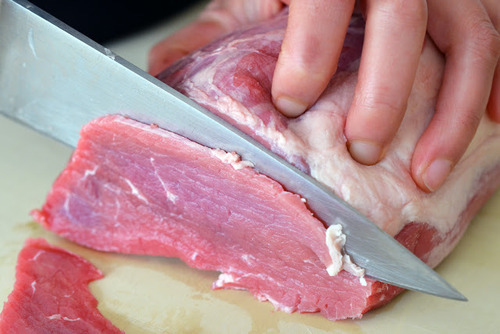 When you’re preparing meat and veggies, you need to hack ‘em up with speed and accuracy – and if you have to pick just one blade, you’re going to want to get a high-quality chef’s knife. 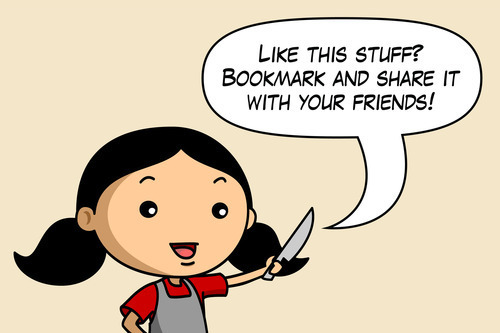 A great chef’s knife can last a lifetime, so don’t cheap out. Get yourself a sturdy, well-balanced one with a broad, tapered blade made of carbon or stainless steel. You’ll be spending a lot of time with this indispensable tool, so look for high-quality full-tang or forged (not stamped) knives. Why forged and not stamped? A forged knife is made from a single red-hot bar of rough metal, which is then hammered into a shaped die to make the blade and the tang (part of the knife’s handle). This one-piece construction makes the blade extremely strong and sturdy, giving it the oomph you need to tackle some heavy-duty cutting and slicing. If you’re on a tight budget, go with the Victorinox Forschner Fibrox. It costs under $30, and it’s the best-reviewed inexpensive chef’s knife on the market. (Buy it on Amazon here.) Caveat: This is a stamped (not forged) blade, but what do you expect for that price? 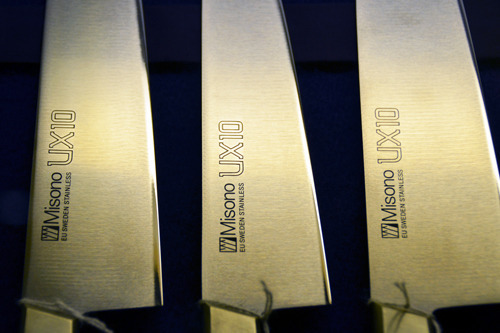 If you’re looking to splurge a bit (or if you’re looking to give someone a very pointy, sharp, and extravagant gift), consider the Misono UX-10 Gyutou. 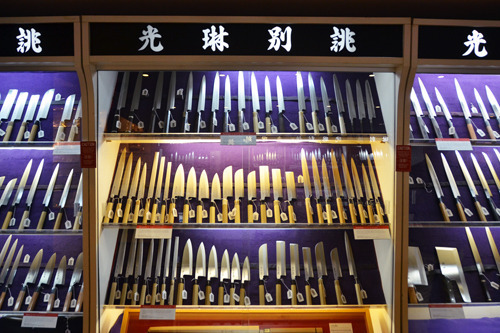 The Japanese word “gyutou,” by the way, refers to an all-purpose chef’s knife, though it’s literal translation is “cow sword” because it was traditionally used for butchery. If you’re doing delicate knife work, get an inexpensive paring knife. A small, short-bladed paring knife is useful in situations where a bigger blade is too cumbersome. 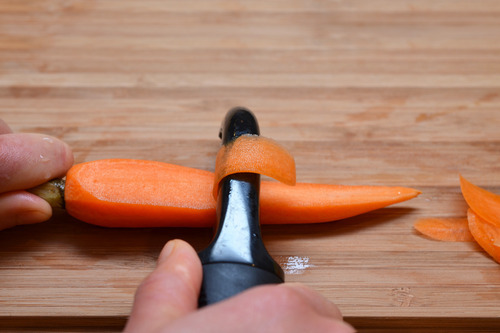 You don’t have to splurge on an expensive paring knife, though; even a cheap one – if kept sharp – can help make quick work of small, detailed tasks on the cutting board. A standard paring knife (also known as a spearpoint paring knife) looks like a miniature version of a chef’s knife, with a gently tapered blade used for more precise cutting and peeling. You can find a wide variety of paring knives at Amazon, but the one I use at home is the J.A. Henckels International Classic 4-inch paring knife. Take care of your knives, and they’ll last you a lifetime. And the best way to keep them in tip-top shape? Sharpen ‘em. 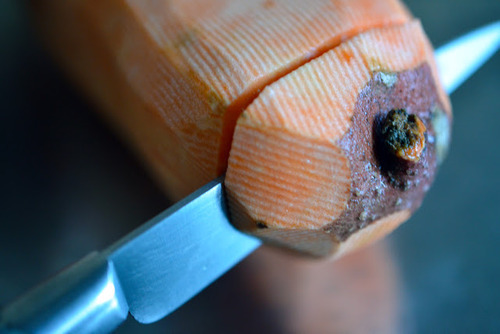 My recommendation: Get yourself an Accu-Sharp Knife & Tool Sharpener. 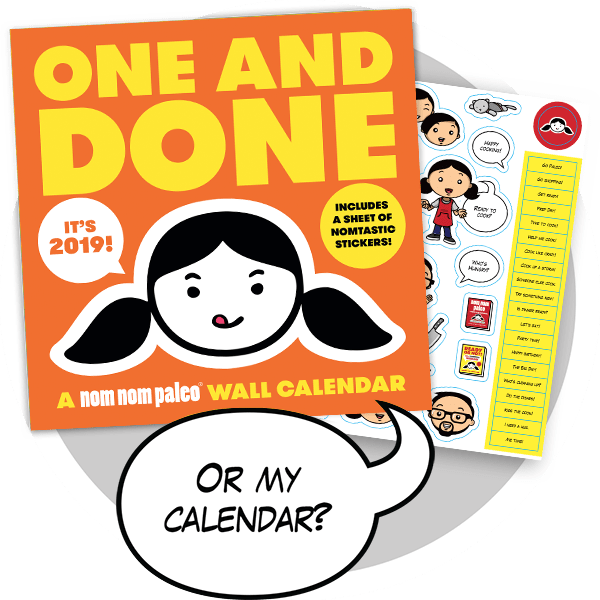 (Buy it on Amazon here.) For less than ten bucks, you can sharpen your own knives in just a few strokes. NOTE: The Accu-Sharp’s great for Western blades, but as Timothy Donley noted on my Facebook page, if you have an expensive Japanese-forged blade, these sharpeners aren’t the best idea! 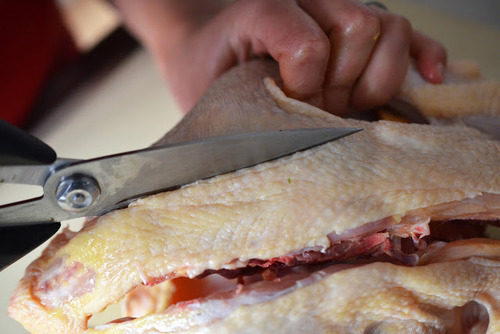 Technically, you don’t need shears if you’ve got a great knife, but a sharp pair of scissors can help handle a host of tasks, from trimming herbs to butterflying chicken. Choose well-balanced, high-carbon stainless steel shears with micro-serrations on the blades to help firmly grip the slippery foods you’ll be cutting – but get a pair with plastic handles. All-metal shears are pretty to look at, but when your hands are wet, they’ll slip right out of your grip. You want to keep all your fingers, right? For easy cleaning, it’s nice to have shears with blades that can be fully separated, like this pair of Kershaw Taskmaster Shears. Cast iron skillets deliver a lot of bang for the buck, so buy two of ’em. For just a fraction of the cost of copper or clad metal cookware, these heavy, durable skillets offer super-efficient heat conduction and retention. They’re perfect for frying, searing, or baking, and improve with age. Once properly seasoned, cast iron develops a natural non-stick finish, and doesn’t react or absorb the flavors of the food you’re cooking. 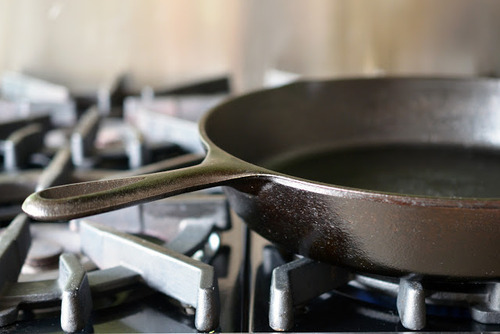 To maintain your cast iron skillets, clean them with a stiff brush and hot water (but no soap or detergent), and then wipe them dry before rubbing a bit of melted fat onto all surfaces. I have a Lodge Logic pre-seasoned 12-inch cast iron skillet, as well as an 8-inch version. I love ‘em, but don’t presume that the company’s “pre-seasoning” is sufficient. You’ll still need to season the skillets, so follow these instructions. Got an oven or cast iron skillets? 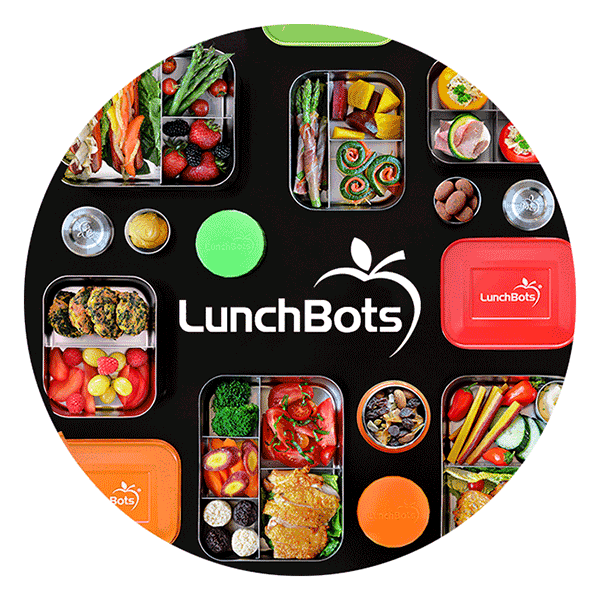 Then you’ll need oven mitts (unless, of course, you happen to be a robot – and if you are a robot, I have two small children who would really like to hang out with you). Yes, towels work fine, too, but I prefer to slip on a pair of super-heat-resistant gloves with five fingers to allow for maximum dexterity. Choose a glove made of Kevlar or Nomex – they’ll allow you to handle items up to 540˚F. 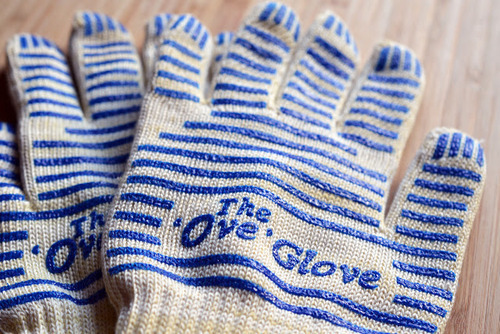 Get a pair of gloves by Ove’Glove. Sure, they’re not the prettiest things you’ve ever seen – you won’t be wearing these to the opera – but they’ll keep you from cooking your hands. 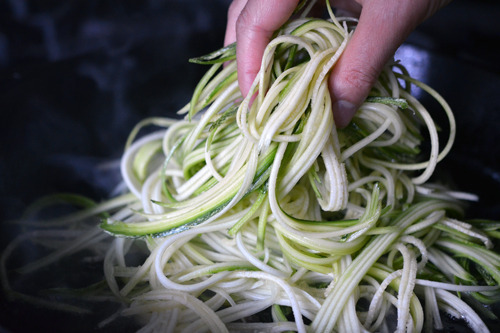 …and one that makes quick work of julienning zucchini into “zoodles” (a Kuhn Rikon Julienne Peeler). 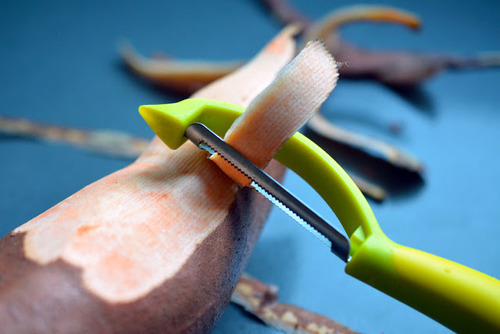 Keep in mind that peelers aren’t just for peeling – they can also make fine edible ribbons or shavings of vegetables for garnishes and salads. You don’t have to use cookie sheets to bake cookies. Use ‘em to roast meats and vegetables or to crisp up batches of kale chips. Rarely does a day go by when I don’t reach into my drawer for a baking sheet or three. I line them with aluminum foil or parchment and I’m good to go. 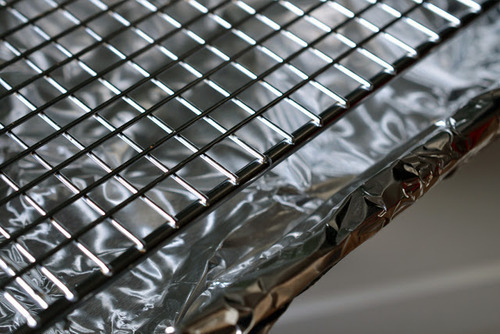 A kitchen supply store is a great place to stock up on rimmed baking sheets, but you can also find them online. Personally, I recommend getting sheets that are no smaller than 13” by 18”. You can never have too many wire racks. They don’t take up much storage space, and they’re incredibly versatile. Use them to keep your roasted meats from sitting in a puddle of grease in the oven, to elevate the proteins you’re about to set ablaze with your kitchen torch, or to keep your crispy sweet potato fries from going limp and soggy. Seek out your local kitchen supply store and buy a bunch of wire racks. Trust me – they’ll come in handy. 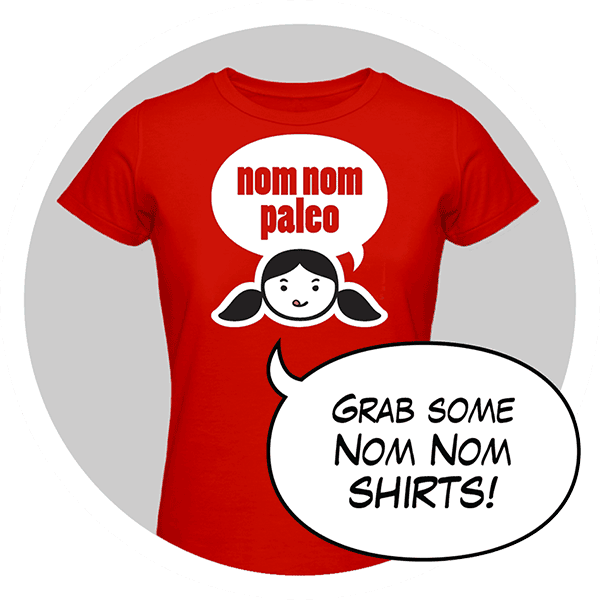 If you’re too busy (or lazy) to leave your house, you can find racks online, too. My favorite racks are made of stainless steel because they’re practically indestructible. A saucepan is essentially a high-sided pan. We don’t typically encounter a lot of traditional sauces in Paleo cooking, but this little pot is super-versatile: Use it for everything from boiling eggs to heating up leftover garlic cauliflower mashed fauxtatoes. I’m a big fan of our All-Clad Stainless saucepans, but they’re not cheap. If you’re minding your wallet, try the more budget-friendly Cuisinart MultiClad Unlimited line of saucepans. 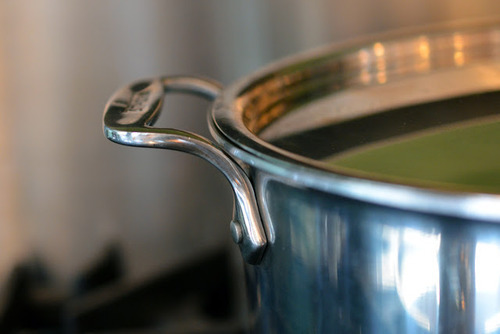 You probably have room for just one stockpot in your kitchen, so get one that can tackle a number of tasks, from preparing homemade stock (duh!) to boiling crabs. 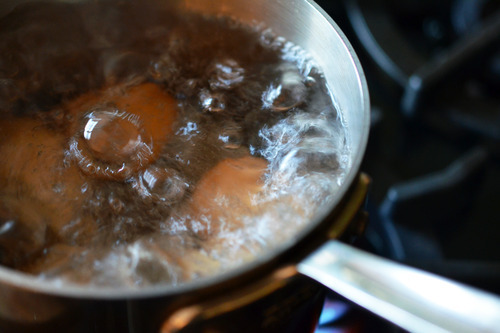 Your best bet is to buy a wide, heavy stockpot to maximize visibility and minimize the risk of scorching your food. The All-Clad Stainless 12-quart stock pot is widely acknowledged as the best on the market, but it’s pricey. A much more affordable (but still pretty darn good) option is Cuisinart Chef’s Classic stock pot, which retails for several hundred dollars less than the All-Clad. Want to prepare perfectly-cooked slow-roasted meats? 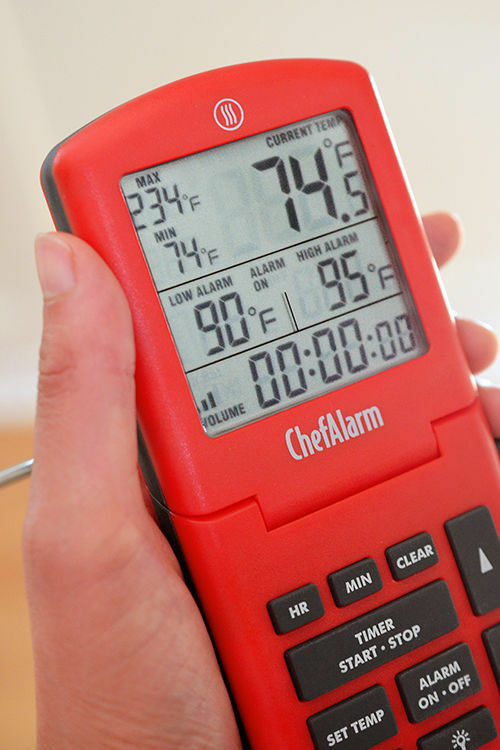 Get yourself an instant-read probe thermometer with a display that sits outside the oven. Stick the probe into the center of your meat, make sure it’s plugged into the display, and roast your food until the desired internal temperature is reached. Instant-read probe thermometers aren’t pricey, so don’t be penny-wise and pound-foolish: Invest in a good one so you don’t screw up your expensive meat. Me? 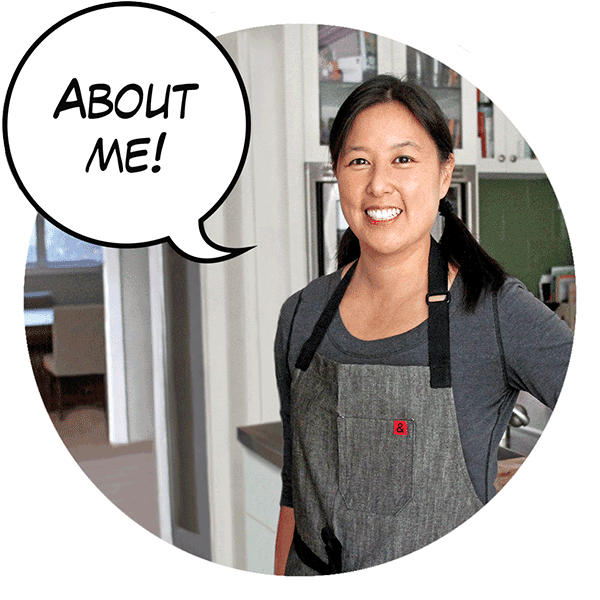 I have a ChefAlarm by ThermoWorks. It works like a charm. You’re not going to use your hands to transfer and flip your foods, right? 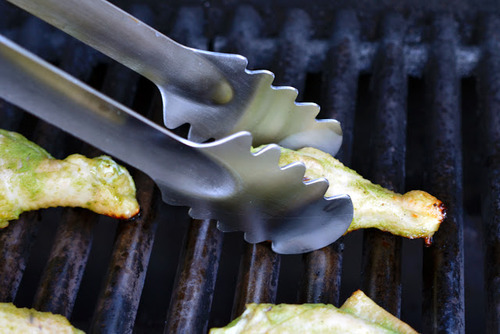 You don’t need anything fancy here; just get a basic pair of locking tongs with wide-scalloped pincers, and you’ll be all set. I have a few pairs of OXO Good Grips locking tongs of differing lengths in the kitchen, but when we’re doing high-heat grilling in the backyard, we use a set of 16-inch tongs by Progressive International. Silicone spatulas with brightly-colored silicone heads aren’t just pretty – they’re nonstick, heat-resistant, and food-safe, too. 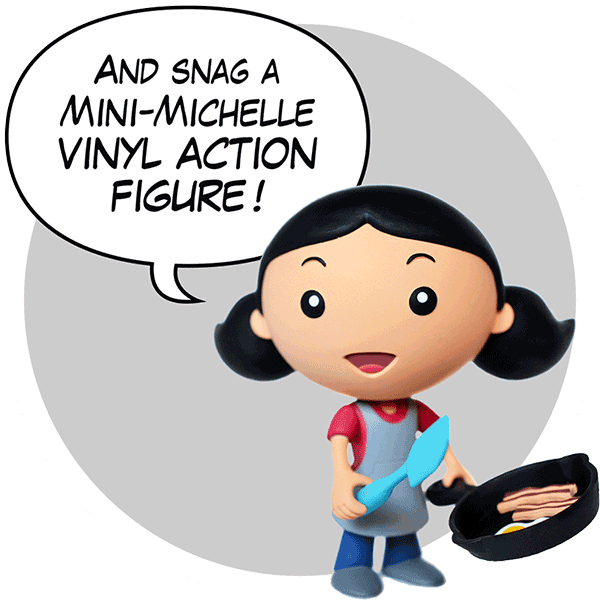 Come on: Aren’t you tired of your cheap plastic spatulas melting into misshapen lumps of goo? Pick spatulas with flat heads – that way, you can cleanly scrape food against the rim of a bowl or slip it cleanly under the edge of a fried egg. 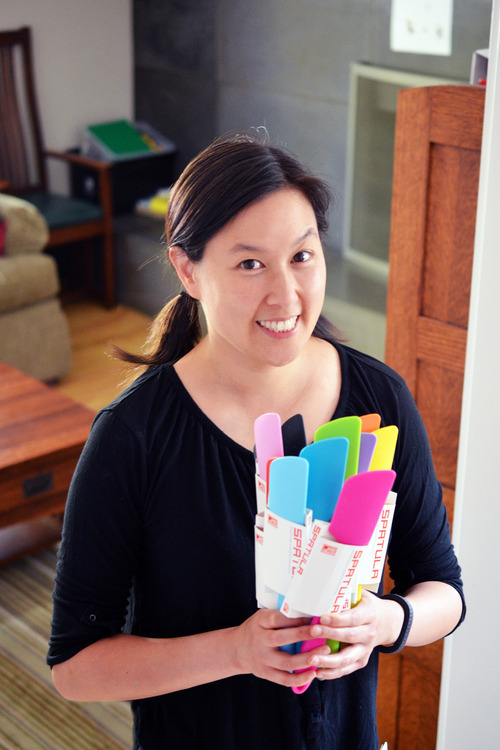 UPDATED: My new favorite silicone spatulas: sleek, sturdy, colorful GIR spatulas! 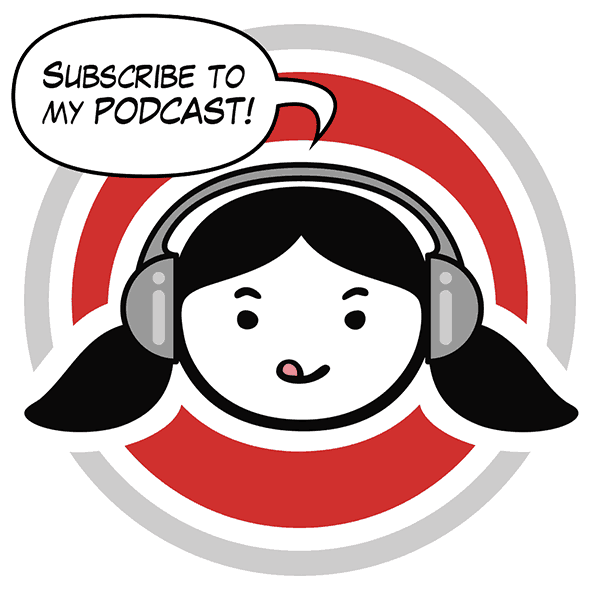 Read about ’em here. Okay – so that wraps up my round-up of essentials. 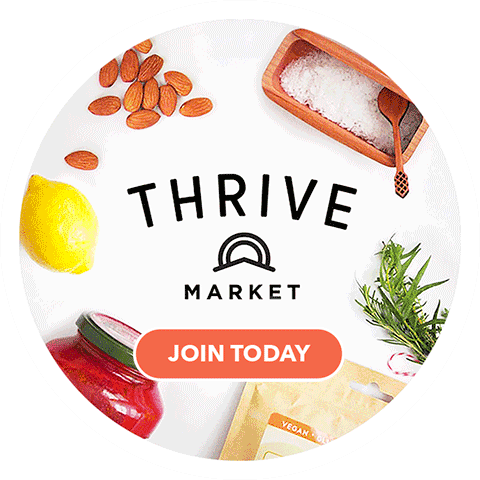 If you’re hungry for more, go head over to the Shopping Guide section of my site. 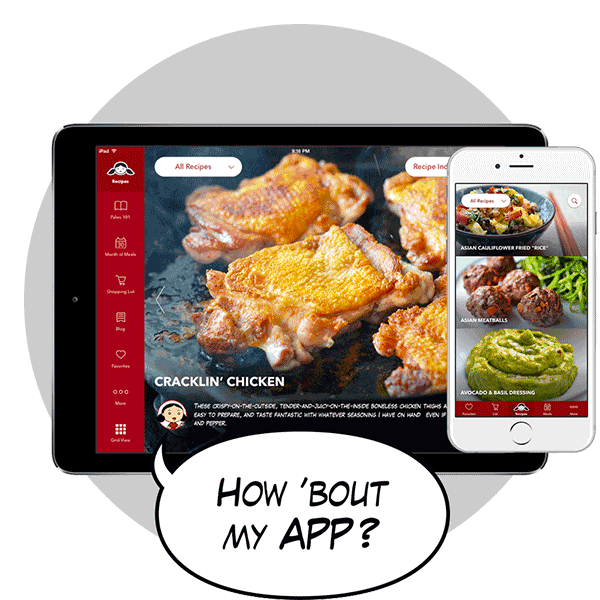 (You can also easily access it from my iPad® app!) 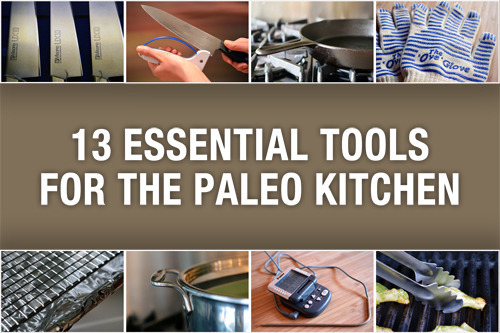 There, you’ll find tons of info on these and other kitchen tools, and much more. Happy reading! P.S. 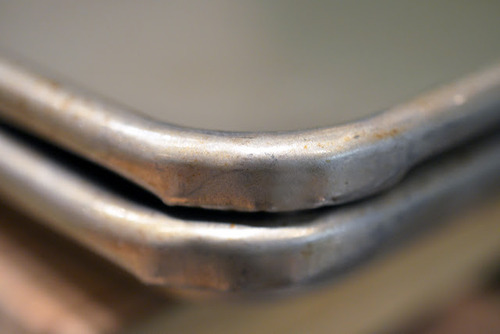 I know this post is a bit of a deviation from my usual inventory of daily eats, but if you enjoyed it, let me know, and I’ll start working on Part 2: Why Some Non-Essential Kitchen Tools Are Actually Kind Of Essential. P.P.S. 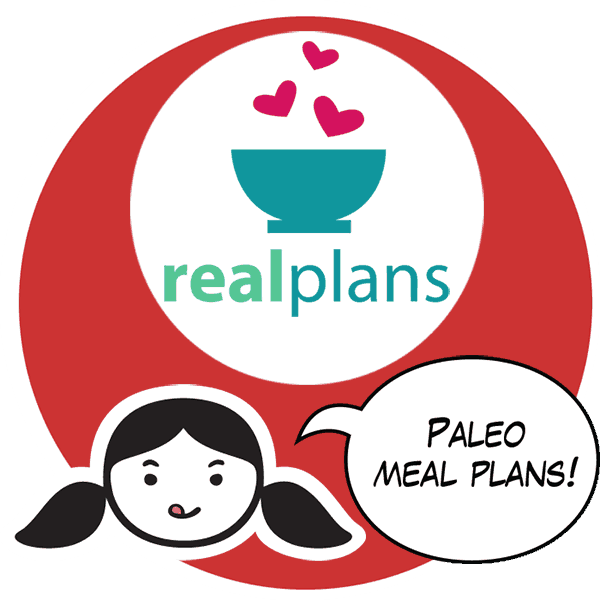 Hit the “Share This” button below to pass this on via Twitter, Facebook, or Pinterest if you think this post would be useful to your Paleo pals!